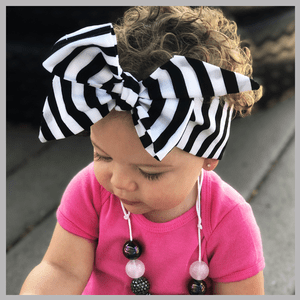 Our stylish Heads Wraps accessories are a must have for every little princess. Soft cotton can be tied a number of ways for the perfect look. Select from a variety of patterns and styles below for the perfect look. These head wraps are meant to last forever and can be tied different ways no matter what the age! One size fits all from newborn to adult! Perfect for mommy and me matching sets.